Our loved ones are the people who are supposed to understand us. But what if they just...can't? Where do we turn then, and how do we fight the feelings of resentment that this lack of understanding can stir up? This episode was originally released November 11th, 2016. I’m a 30-something woman with a previously “charmed life.” I have friends who have also lived said charmed lives. Nothing bad has ever happened to them. They have never suffered or grieved or needed or waited in want. The advice I seek from you is not medical. That’s for my doctor to figure out. The question is, rather, how do I continue to put on my “happy face” and try to relate to “the charmed ones” when I have gone through a transformation of heart that they cannot relate to, empathize with or even understand? I am not the same person I was three years ago, and this difference seeps from my pores at every social gathering. I’m like an alien. They don’t know me anymore and I deplore the easy, superficial problems and thoughts that take up the caverns of their minds. My caverns are filled with cogs and wheels that have turned me into a new person — a survivor. My friends have yet to be tested. They have yet to “survive.” For some reason I cannot relate to those who have no scars. I want companions, compadres, “battalion buddies.” Is it wrong to wish they, too, had scars so I can feel close to them again? I want them to need me the way I have needed them. But mostly, I want them to know me again. The new me, the one with all the scars. Cheryl Strayed: This letter really brought me back to when I was this 22-year-old woman whose mother died young and tragically and suddenly, and I wasn’t close to anyone else who had lost a parent. I really identify with Lonely War Vet’s sense of, “Why did I get scarred and you didn’t?” I just want to extend a hand to you, LWV, through the airwaves of the podcast and say, I’m so sorry for your loss. This feeling of isolation is part of the grieving process. There is a way that, in this experience, you are alone. But what’s also true is that there are other people out there who have had this loss, and part of your healing journey as you grieve these losses is to finding those other people. When you have those people you can show your true self with, you’re going to be a lot more open and loving and available to those other people you treasure. Just because they don’t have those same scars as you doesn’t mean that they never will. It really goes back to that essential truth about relationships: We can’t get everything from any one person. Steve Almond: We all walk around wishing to be charmed, and then in one way or another, life dispels us of that. Saying that your friends have never suffered or grieved or waited in want is certainly emotionally true, but it’s not actually true. Sometimes you do actually have to talk to people who have shared a particular type of traumatic experience so that you feel less alone with it, and then you become more forgiving of your friends and more able to them as complicated people who whose lives are pretty complicated as well. They’re not marked by a particular experience, but they are marked by yearnings, unmet desires, disappointments. Cheryl: And you’ll turn this ugly sorrow into something powerful and strong and beautiful when you help those friends through their own griefs and sufferings. As we know, charmed lives only last as long as the days are charming. We never know what’s going to come next. Wait it out with these friends. Don’t expect them to be the greatest resource for you now, but know that someday, that might change. You might be the greatest resource for them. I am a bisexual, colored, immigrant woman living in the United States who has recently gotten into a relationship with a heterosexual, white man. My boyfriend is kind, compassionate and loving, but he doesn't really get it. I often speak about my experiences, and he's a great listener, but he doesn't understand. I fear that this lack of understanding will create a wedge between us. It hurts when I talk about issues (such as privilege and the fact that he has a lot of it) and he disagrees with me. How do I help him understand what he has never and will never experience? Cheryl: At what point in your relationship did this become an issue large enough that you needed to confront your partner about it? Steve: How did he react to that? Cheryl: It sounds to me like that’s perfect advice to SJW in Love. SJW, you’re at this moment of truth in your relationship. Your partner, like TaLynn’s partner did, needs to say, “OK, I’m going to try to begin this journey of learning about some of my privilege.” You can’t go forward with somebody who isn’t willing to do that. Steve: In fact, the letter says, “I fear that this lack of understanding will create a wedge between us.” The wedge is there. It’s not just one conversation or one research binge; it’s an ongoing process. Even though TaLynn came to terms with her husband, there was also his family and a whole new set of occasions in which they had to honestly confront the reality of race in their relationship and in the society around them. Cheryl: I think there’s this notion of “white fragility” that we need to lose. It doesn’t make you a bad person just because you have some things to learn about your own privilege. TaLynn: Exactly, it’s something that you can learn to recognize and call yourself on. The only way you’re going to call yourself out on it is if you actually are honest about what it is. You see it, you say you it, you articulate what’s happening with you, and then, when you notice it happening, you stop yourself. It becomes easier over time. Cheryl: TaLynn, your husband is never going to not be white, and you’re never going to not be African-American. But do you feel that you get him and he gets you? Cheryl: That’s the best we can ask for. Nobody really can be us, but we can find, and in some cases demand, that people really know who we are. Steve: TaLynn and her husband are a good model of how hard and continual that work has to be to keep those lines of communication open so that, even though it’s impossible to completely understand somebody else’s self-hood, you can accept yourself, and you can make an effort to draw closer. Original music in this episode by Amory Sivertson. 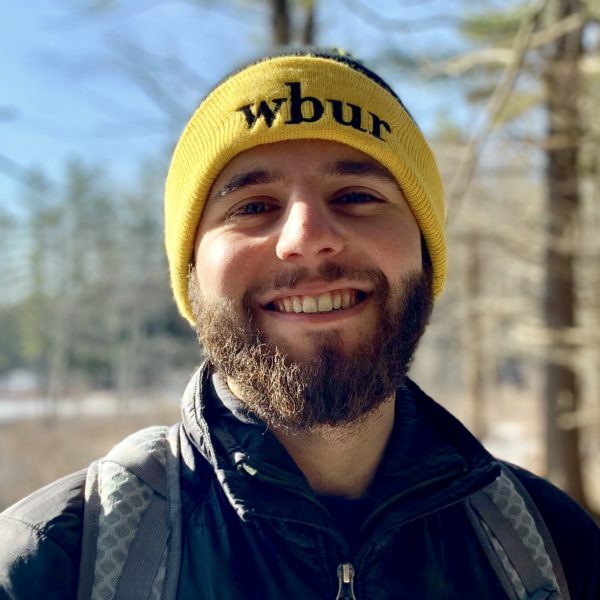 Josh is a producer for podcasts and new programs at WBUR.